Our product range includes a wide range of water cleaning rainy filter. `RAINY’ First of its kind Dual Intensity Rainwater Harvesting Filters with self-cleaning and auto flush out arrangements. 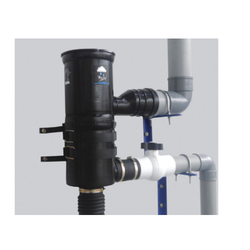 These heavy duty Dual Intensity Rainwater Harvesting filters are so designed; keeping in mind the capture of rainfall loads varying from 5mm to 75mm/hour without affecting the efficiency of the filter and the operating required less than 0.06 kg/cm2 (2 feet) so the filter can perform even in low Roof areas.